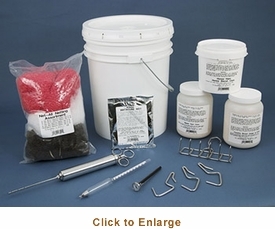 You�re viewing our Sausage Maker Meat Curing Kit. TSM's meat curing kit gives you everything you need to cure meat by artery pumping or brining. Cure a wide variety of domestic and wild game meats, including beef, chicken, pork, and venison. 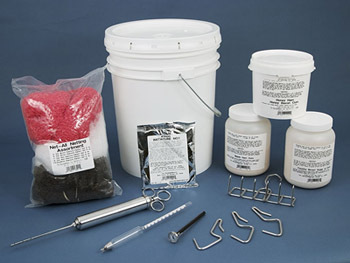 The TSM meat curing kit includes a brining bucket, meat pump, stockinette hooks 6 prong bacon hanger, brine tester, thermometer, netting assortment and honey ham bacon cure, maple ham or bacon cure, and brown sugar with cure. Preserve your favorite cuts of meat and flavor them at the same time. If you have questions about our products we have the answers you need. Scroll down to view our Sausage Maker Meat Curing Kit.